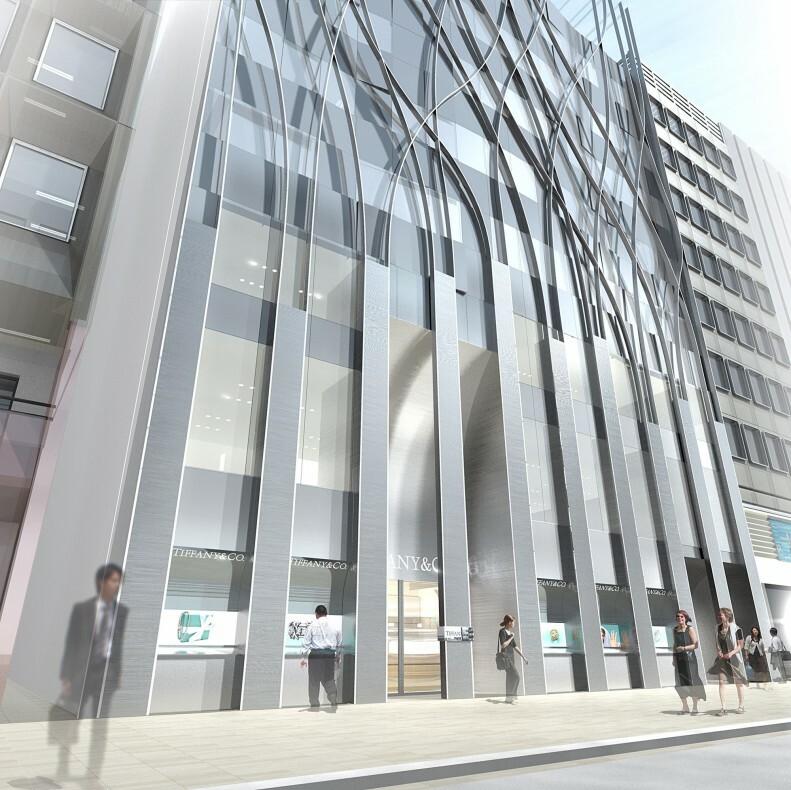 The unusual challenge for this project was to create a Tiffany & Co building for an existing 2-level store within an existing 9-level office building without changing or compromising the interior functions… all within a limited 50 cm depth. 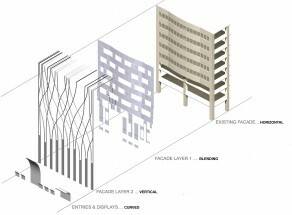 To solve these formal and programmatic complexities CARBONDALE created a two-stage design solution. 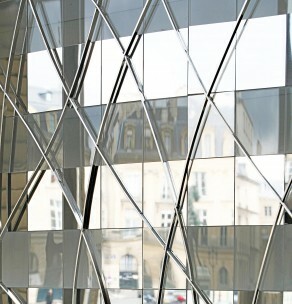 First, to visually unify the building and erase the horizontal existing window bands that define each floor, a first façade layer of polished stainless steel and mirror glass facets overlays the entire surface. 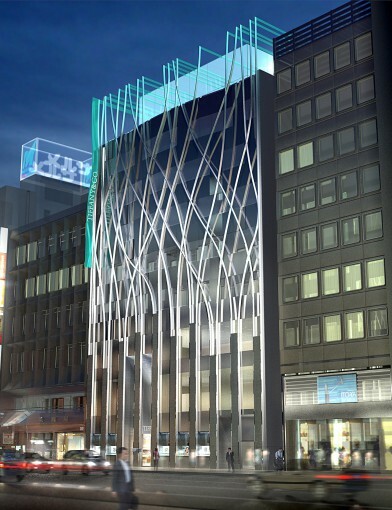 Then a second façade layer influenced by the traditions of both geometric and organic jewelry designs is applied to accentuate the façade presence laterally. 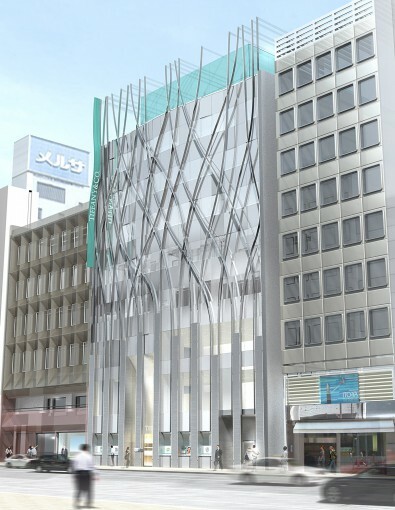 The brushed stainless steel tracery that extends upwards from the buildings columns is artificially lit with a cool to warm vertical gradation to reproduce a flickering of flames effect to the scores of pedestrians along the Ginza shopping district.